At 0435 hours, Lancaster County Communications dispatched Engines 74-2 (Elizabethtown), 701 (Rheems), 27-1 (Mastersonville), 71-2 (Bainbridge), 75-2 (Mount Joy), Squad 74-1 (Elizabethtown), Tankers 70 (Rheems), 27 (Mastersonville), 3 (Lawn), Trucks 74 (Elizabethtown), and 88 (Middletown) to 54 Mt. Gretna Rd at the Black Gryphon in Mount Joy Township for a building fire. Multiple calls were received. Engine 74-2 on location with smoke and fire showing from the first and second floors, requesting the second alarm. Multiple hand lines were used to knock down the bulk of the fire but required extensive overhaul to check for hot spots. Approximately 50 firefighters from over a dozen companies representing 3 counties responded to the scene. 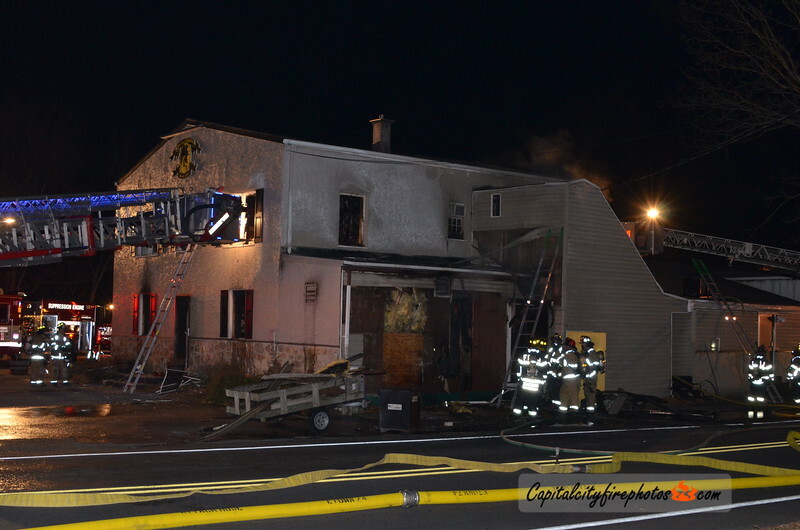 The building was extensively damaged and no injuries were reported.